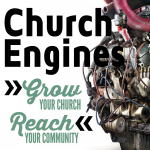 How are you feeling about the growth and evangelism in your church? Me, too. It’s always a battle. At New Song we will do anything short of sin to lead people to Jesus. As a result, we’ve tried a lot of things to reach our community for Christ. Some strategies have worked better than others. Here’s an idea that worked well for us, and for thousands of other churches, and it might be just what you are looking for to reach your community and see your church grow this fall: A God Questions Church Campaign. 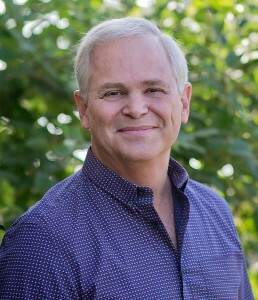 Why a Campaign and Not a Sermon Series? A good sermon series helps churches reach their neighbors, equip their members, and invite their friends, but a church campaign is a sermon series on steroids. It supplements the sermon with daily readings and a weekly small group discussion. The power of combining all three of these is like the power of a three-stranded cord. Each strand reinforces the others. The added benefit of a campaign over a sermon series is that it gives extra incentive for everyone to join a small group. These reasons are why New Song holds a church-wide campaign every fall, and why over 80% of our worship attenders are also in small groups. Why The God Questions Campaign and Not Another One? 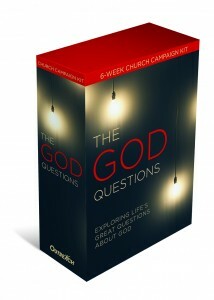 Over the last ten years, more than 2,000 churches have seen significant growth using The God Questions campaign. I believe there are six reasons it’s been so helpful. 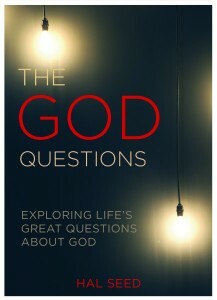 1.The God Questions is theological. People need to know about God. We were wired for Him. Ecclesiastes 3:11 says, “God has set eternity in the hearts of men, yet they cannot fathom what God has done from beginning to end.” In the center of our beings, every one of us wants to know about God. We have an intellectual tugging to find out who He really is. 2. The God Questions is transformational. Romans 12 urges us to “be transformed by the renewing of our minds.” Transformed lives and transformed character begins with accurate thinking. 50 years ago, pastors didn’t need to answer that question because everyone already knew the answer. In today’s pluralistic society, however, it’s a sincere question that requires documented proof. Fortunately, the Bible supplies that proof from history, science, archaeology and logic. When people are able to tether themselves to the Bible as the source of truth, they are able to live confidently and intentionally, and behave more lovingly because they know the source of love is the inexhaustible love of God. That’s transforming! 3. The God Questions is practical. James 1:22 says, “Do not merely listen to the word… Do what it says.” Every Bible Study in The God Questions ends with some form of the question, “Now that you know this, what are you going to do about it this week? 4. The God Questions is relevant. Ask anyone you know, “Do you ever have questions about God?” and you’ll discover that everyone has questions about God all the time. You do. So do I. Is God real, and if so, how can we know for sure? Is the Bible true, and if so, what proof is there? With all the religions in the world, how can I know which is right? With all the pain in the world, how can there really be a God who is all-powerful, all-knowing, and all-loving? With all that we learned in school about evolution, how can Genesis 1 be true? What happens to me, and those I love, when we die? Late at night people ask themselves these questions. They can’t help it. God wired us all with inquisitive minds and these are seminal questions that must be answered if we’re to find any peace. I’ve seen from personal experience that when a young man learns three or four objective proofs of the existence of God, he breathes easier. I know because I’ve seen it that when a young woman is given tangible proof that the Bible is the most accurate and reliable book of all times, she turns to it willingly when her world is crumbling. And I have walked with older people as they face death. Those who know the truth about the temporary heaven that awaits them now and the new heavens and new earth that await them someday are tremendously comforted by these answers. 5. The God Questions is timely. Most people won’t give you two or three months to answer their questions, but they will give you five or six weeks. The God Questions is long enough to answer life’s most important questions, and short enough to convince people to attend. 6. The God Questions is a sustained excuse to invite people six weeks in a row. People who aren’t used to going to church don’t want to come to church. But they are willing to come to an event (like a church service) if that event is relevant to them. 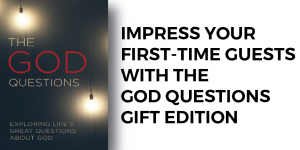 Each of the questions addressed in the The God Questions campaign can stand on its own. Which means that every member of your core or church can invite people on any given week. 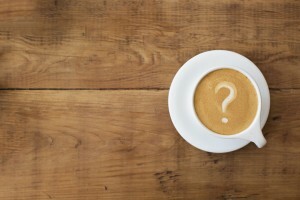 Time for a God Questions Campaign in your Church? 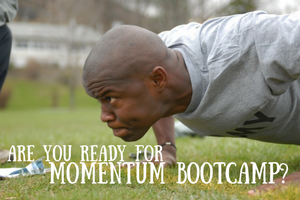 Are you ready to fight the battle for salvations and growth alongside other churches? I hope you will prayerfully consider holding a God Questions campaign in your church to reach your community and equip your congregation.